Just a few quick observations today. Who doesn't like quickies, right? 1. 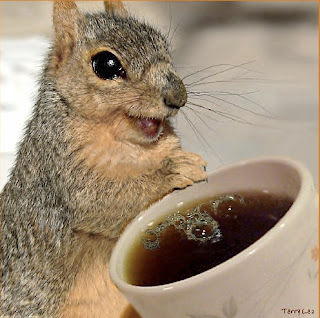 OK, so I'm drinking coffee today. After three days of existential angst, I walked into the office this morning and made myself a pot of coffee. No biggie. I made it, I drank it, it was yummy, the heavens did not open, nor did choirs of angels sing. Not even a chorus of Stooges. I don't know what the hell is wrong with me sometimes. Maybe the fact that I fell asleep on the couch at nine o'clock last night cued my body in to its fundamental need for caffeine. Or maybe, you know, oh God, the menopause. Don't worry, I'm not going to run the chicken cartoon again. I'll run the happy squirrel drinking coffee instead. D'awww! 2. I'm going to flip my Facebook page over to the new Timeline today. You should check it out and let me know what you think. And like me over there on FB, too, if you haven't kindly done so already. It costs you nothing and makes me inordinately happy. And each "like" brings America closer to true health-care reform. OK, that last part is a blatant lie. Do it anyway. 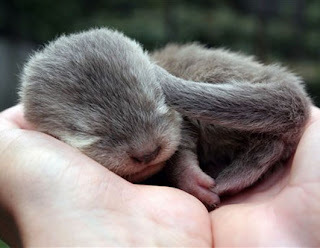 For the baby otters. It doesn't do anything for the baby otters, either. 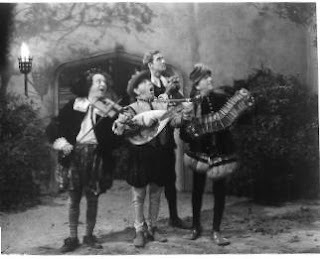 the Supreme Court arguing about health care. 3. Speaking of health care reform, can we all stop using the term "Obamacare"? Like, right now and forever? This is about the constitutionality of mandatory insurance coverage and the freedom of individuals to make choices about their health care. It's not about "waaah, I don't like the democratically elected President of the United States and therefore I'm going to politicize every policy issue he tackles and hope stupid people outnumber smart ones." I've previously discussed in this space my own feelings about so-called universal health care, including my opinion of duly elected representatives who won't pull their hands out of the insurance companies' pants long enough to enact true reform. In any event, the term "Obamacare," besides being misleading and also shorthand for "Don't forget he's a closet Muslim," trivializes a far-from-trivial issue. If you can't discuss it on its merits, maybe you should read up on it. Hint: Don't consult any media that use the term "Obamacare." Mmmm-kay? 4. I forgot to mention that Monday was Steven Tyler's birthday. He's 64 (cue Beatles song, if you must) and still looking pretty fine for an old, many-times-rehabbed rocker. He spent his birthday at the beach and oh my God what's up with his feet? Is there not surgery to correct those ghastly piggies? Is that what you get for jumping around onstage like a madman for forty years? Do you have to call attention to your extreme hammer toes with blue nail polish? I love you, Steve. But...gross. Happy Birthday. 5. 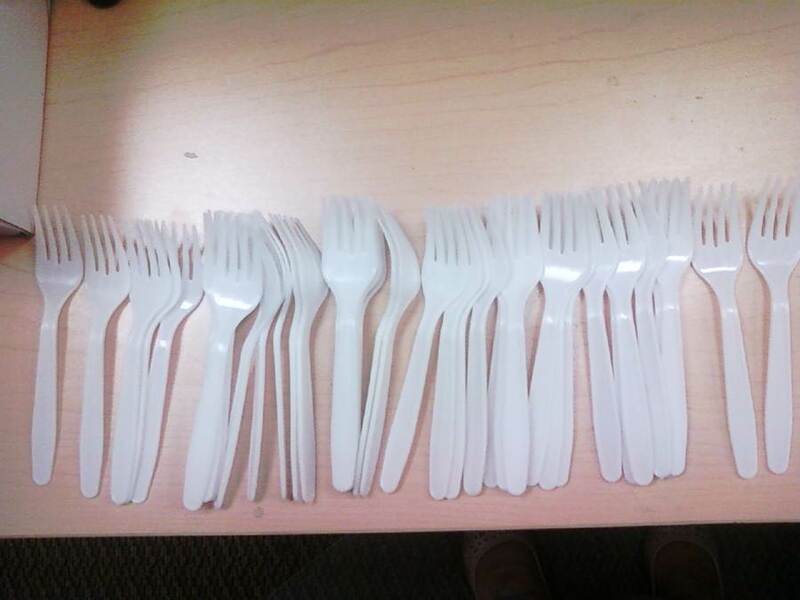 Does anyone remember my collection of tiny forks? like Edvard Munch's The Scream. 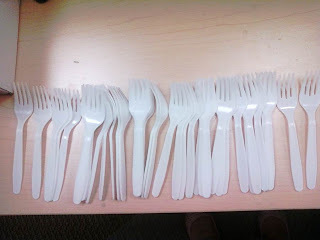 I just wanted everyone to know that my collection now numbers 42 tiny forks from packages of Asian noodles. 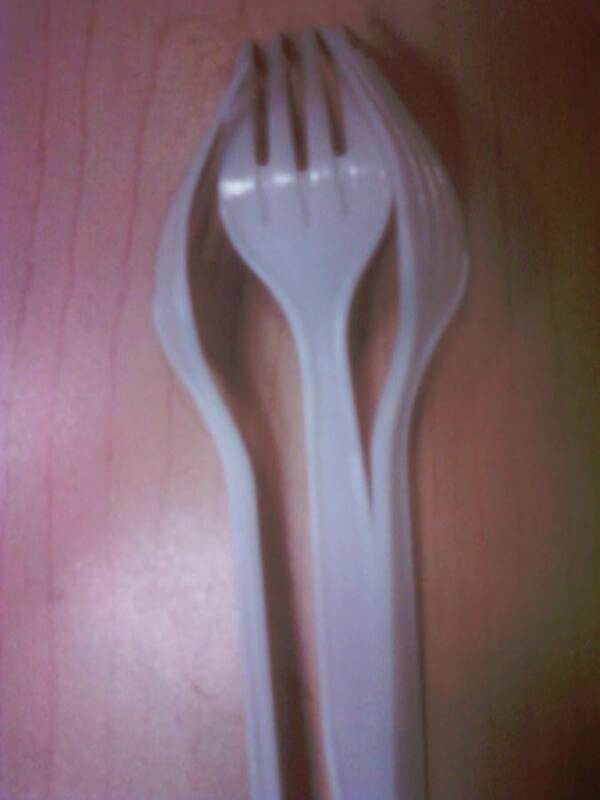 That's an awesome number, and I may have to create a Hitchhiker's Guide-themed fork sculpture out them. Later, when my boss isn't around. He's not the type to appreciate fork-based art. I'm pretty sure he doesn't have a soul. I call it "Man's Inhumanity to Utensils." Yes, they do take up most of an entire drawer in my desk. How awesome is that? OK, that's it for today's roundup of rant. To summarize: Coffee and Facebook Timeline - yes, Obamacare and Steven Tyler's toes - no, tiny forks - maybe. Thank you. Oh, and did you know that Beck's beer is no longer brewed in Germany? Apparently that's upsetting to some people. Shoe fitting may seem like such a simple task, but performing it correctly can be somewhat complicated. A proper fitting shoe is vital for comfort and for prevention of injury. This article will discuss the ways one can ensure that their shoe fits properly, and that the proper shoe is selected for one's intended activity. I find a website for the Hammertoes Best Shoes. If you want you can visit this site.